NEW ARRIVAL HERE AT BOYLES AUTO SALES IN JASPER, AL. A 2013 TOYOTA TUNDRA DOUBLE CAB SR5 4X4! This Toyota Tundra has Power Windows, Power Locks, Tilt Steering, Cruise Control, AM/FM/CD/AUX Radio, Turn Knob 4wd, Leather Interior, and More. On the Outside you'll find the 4 Brand New Wheels and Tires, Paint is in Great Shape, Pendaliner Bed Liner, Towing Package w/ Light Hook-Up, Factory Running Boards, Vent Visors, Painted to match Fender Flares, and a 4.6L V-8 Engine. 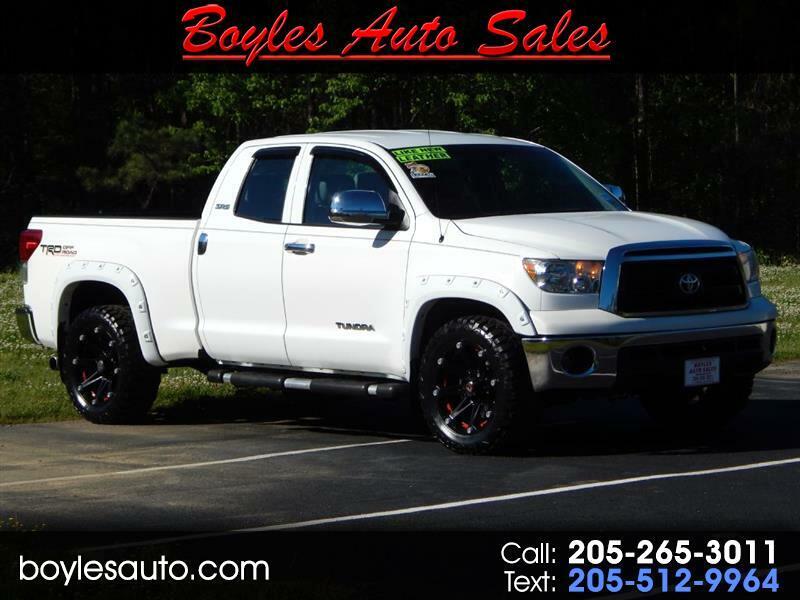 Make the short drive to Boyles Auto Sales and take this Tundra for a test drive today, you'll be Impressed. We have Bank and Credit Union Financing with Super Low Finance Rates, so you're sure to drive this Tundra 4wd home today. Call Scott or Tucker at 205 265 3011, or Randy at 205 265 3196. Visit us online at boylesauto.com to view more information on this truck, or to submit a credit application for faster financing. Thank You for Looking.